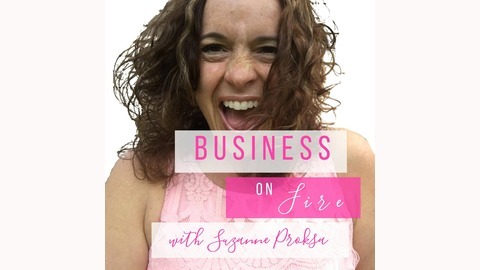 Suzanne Proksa helps determined AF fempreneurs inject clarity into their businesses, give the middle finger to mindset blocks, and create a visibility and business strategy that leads them to margaritas on the beach with a heaping side of PayPal notifications. If you're ready to stand out as the person everyone mentions when someone asks, "Who is the best at XYZ?," you're going to want to get on this girl's schedule. Bring your shot glass and a glass of wine because Suzanne brings the party to your business. If you're ready to stand out as the person everyone mentions when someone asks, "Who is the best at XYZ?," you're going to want to get on this girl's schedule. Bring your shot glass and a glass of wine because Suzanne brings the party to your business. 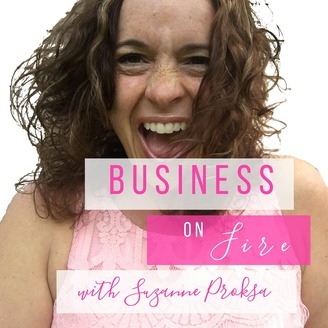 s.
Today I talk with Sally Love, Natural Nutritionist and Vitality Coach, and owner of CrapFree Goddess about how to know if your root chakra is sabotaging your business. Sally dives into how to fix it before it destroys your chances of creating a successful business.